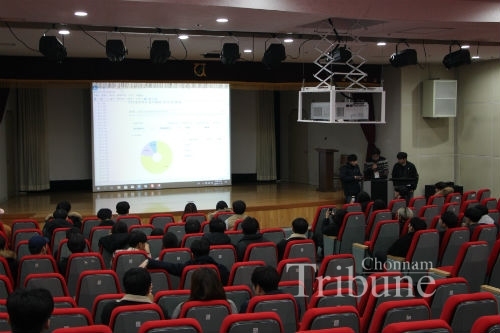 The election for the 2019 General Student Council (GSC) at Chonnam National University (CNU) will be held again in the near future. The university has failed to elect a new GSC president and vice-president due to the low voter turnout. The ballots cast at the GSC presidential election, which had been held for three days from November 20 to 22, could not counted due to low voter turnout that was only 6,179 votes or 38.4 percent. Voting rate should be over 50 percent of the voter eligible population or 16,090 students for vote counting in the presidential election. Vote counting was scheduled to start at 8 p.m. on November 22. 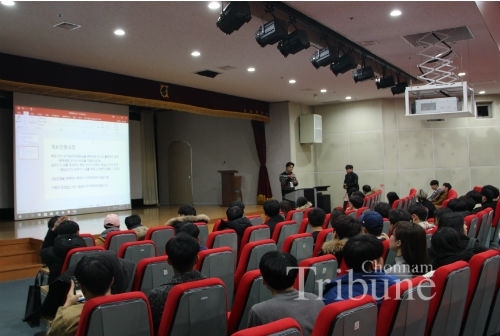 After declaring each college council presidential election results in the counting room at Yongji Gwan on November 22, the Central Election Management Committee announced that they will prepare a by-election for the 2019 GSC and discuss future plans for the by-election. The accurate date for the by-election has not decided yet.